As a model, you have limits and part of pre-shoot communication is clarifying those limits so that you and the photographer are on the same page. 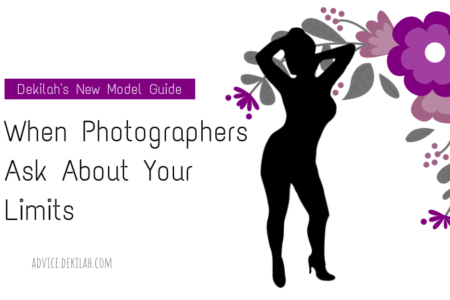 Should New Models Hire A Photographer? by Dekilahupdated on January 14, 2018 September 12, 2017 Leave a Comment on Should New Models Hire A Photographer? Let’s talk about whether new models should hire photographers and what they should look for in a photographer if they do.